You pushed aggressively for six weeks to promote a big webinar. Sadly only 500 attendees joined the live session – less than 50% of the 1000 you were hoping for. Was it a failure? Perhaps or perhaps not. It is too early to tell. 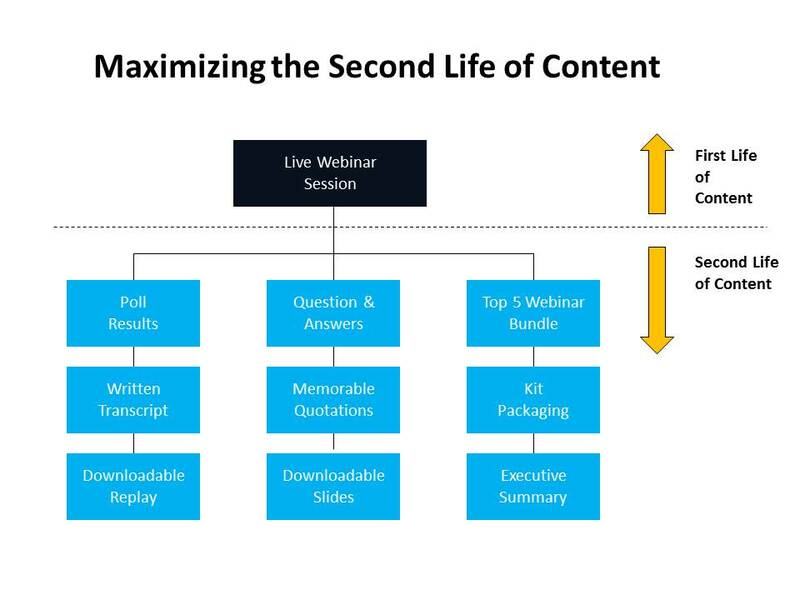 The live webinar is the beginning, not the end, of the lifecycle for this content (assuming you make the replay available on your website). If the content is good, it will be tweeted, plussed, liked and promoted by those who attended. And prospective buyers of your products will find the webinar when they search on relevant keywords. 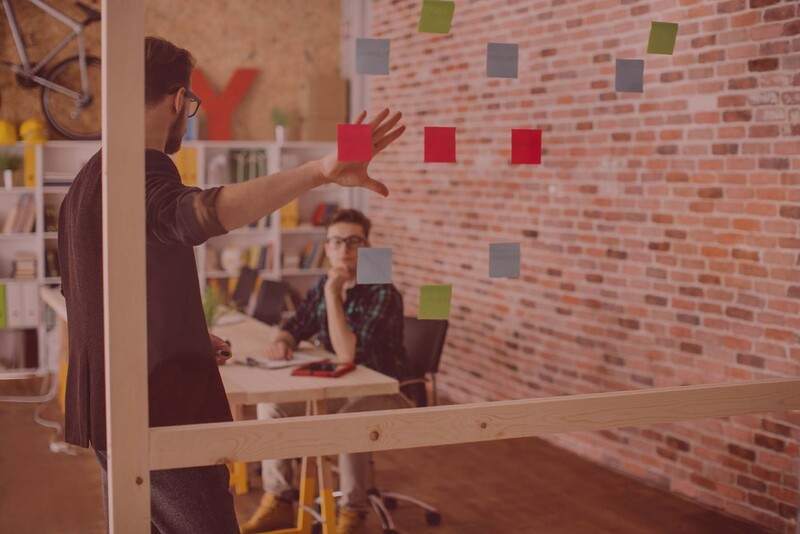 Many marketers measure the effectiveness of content such as blog posts, podcasts, videos, white papers, case studies, ebooks and webinars by the activity generated during the 24-72 hours after it goes live. This introductory period is when the availability of the content is promoted via press release, social media, email newsletters and sales communications. Did you conduct any polls during the webinar? Consider writing a blog about the results. Were there more questions than you had time to answer? Write up the answers to additional questions in a blog format. Create a PDF version of the slides. Enable registered users to download. Have a written transcript created. Enable registered users to download. Create a downloadable replay version of the webinar in video format. Package it into a kit. Write an executive summary of the webinar. Enable registered users to download it in PDF format. Create a list of key statistics from the study. Put the stats into an infographic to make it more interesting. Put the charts and graphics into PPT format. Enabled registered users to download the PPT. Create an executive summary of the report. Make it available as a teaser to unregistered users. Host a webinar to share the key findings of the report. Delay the webinar to 30-60 days after the research publication to draw additional attention to the study. Record a video of the research leaders. Ask them questions about the findings. Distribute 2-3 minute video clips on the interview. The same types of techniques can apply to other types of content such as podcasts, videos, white papers and public speaking engagements.